It was three-peat for Loyola Speech & Debate at Saturday’s Baltimore Catholic Forensics League Championship at Catonsville High School. The team came back from an early deficit and finished with a decisive win in the Speech Sweepstakes and First Place in the Overall Team Sweepstakes. This marks Loyola’s 13th BCFL Championship in the past 15 years. Please congratulate the following students for their award-winning presentations. All have qualified to represent the Archdiocese of Baltimore at the National Catholic Forensic League Grand National Tournament in Milwaukee over Memorial Day weekend. 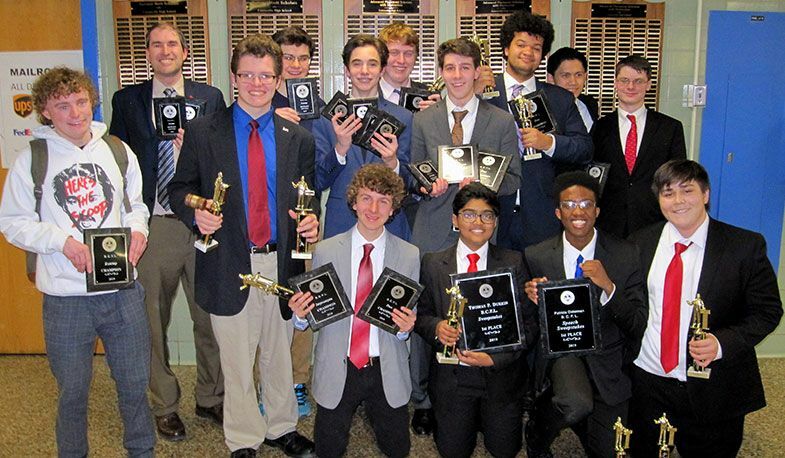 The team’s next event is the inaugural Maryland Speech and Debate Association Championship, which will be held at Loyola on Saturday, April 6.